A Child Grows in Brooklyn has details on the new public school that is opening in place of the former PS 19 Roberto Clemente school on South 3rd between Keap and Rodney. The new school will be the Brooklyn Arbor School (I think DOE was calling it PS 114) at the Roberto Clemente Campus (hopefully this means the Clemente is staying, not being phased out). According to ACGiB, the Arbor school will be a magnet school, open to students citywide, but with a preference for students from District 14 (PS 84 is a magnet school too). Enrollment has been extended through 16 March. 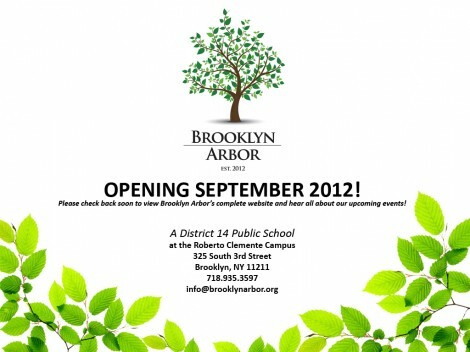 please let me know the school number for your school (brooklyn arbor) and when there is an open house.